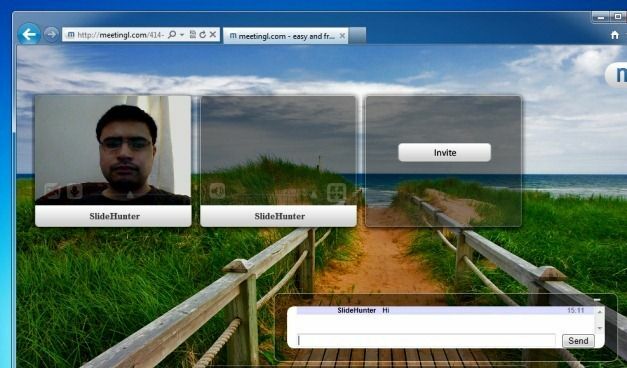 Meetingl is a free web service for conducting a disposable video conference with up to eight people simultaneously. 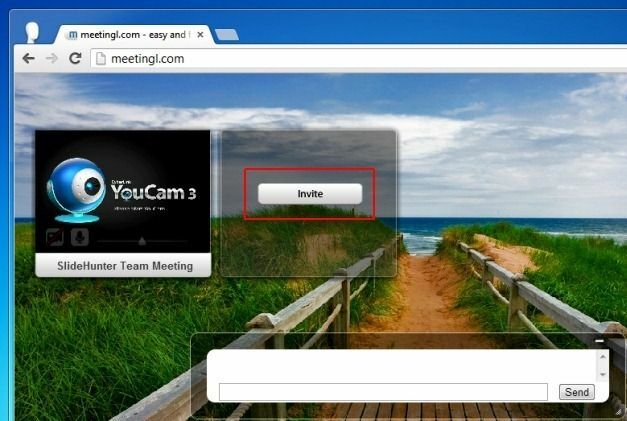 Meetingl is quite similar to services like CamDip and BoostCam, as it does not require the installation of any kind of software. 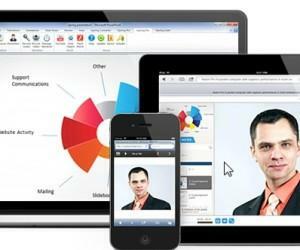 Due to no special requirements for using this service, you can use Meetingl to hold a video conference on the go using a smartphone or tablet and also use it via conventional desktop operating systems like Windows, Mac OS X And Linux. 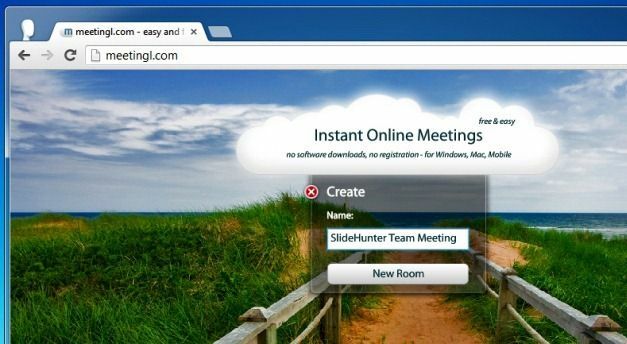 Meetingl only requires an internet connected browser with a Flash Plugin. For better audio quality the developer has recommended the use of Flash Player 10.3 or higher. This service not just connects users via cam and audio link but also provides communication via a high secure media server, with standardized protocols. 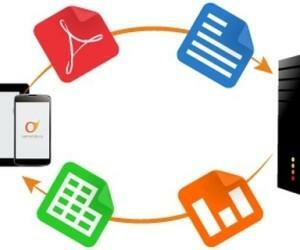 Unfortunately, there is no file sharing option or a functionality to present PowerPoint presentations, however, you can use Meetingl to quickly and easily conduct team meetings, online collaboration sessions and catch up with family and friends. 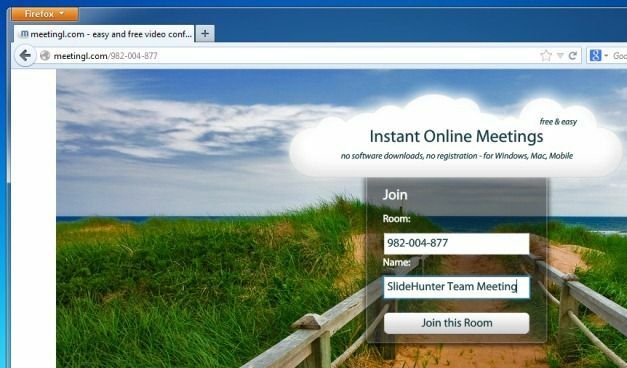 To start a meeting click New Room and enter a name for the conference. This could be your own name or perhaps the title of your meeting (e.g. SlideHunter Team Meeting). This will generate a room number which can be used to invite others. To invite other members, just click “Invite” and email the chat room URL to participants. 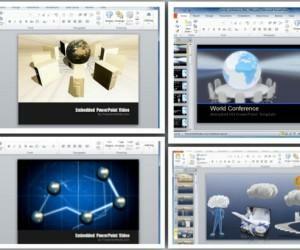 The participant will require opening this link to access the meeting in progress. Alternatively, he/she can also enter the room number manually. 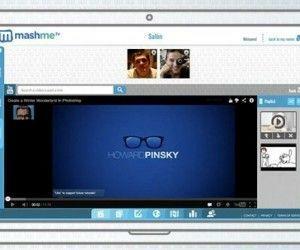 After a meeting is joined, you will require granting Adobe Flash Player access to your microphone and cam. As mentioned earlier, Meetingl supports 8 way video conference between participants during a single session. Users can interact by audio and instant messages and optionally also enable cam output. You can also adjust your audio and video setting by right clicking anywhere to access settings for your Microphone and Cam. 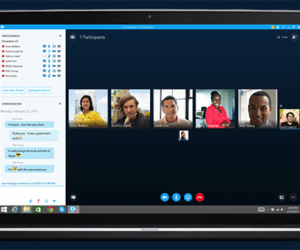 The best thing about this web service is that it offers a fast and easy mechanism to conduct video conferences without the restriction of an operating system or the need for installing a third-party software. The only downside might be the use of Flash Player, which might not be available or preferred for certain devices. 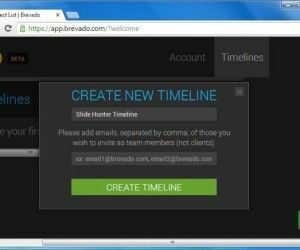 It is worth mentioning here that the service can be further enhanced if somehow the developers can integrate an option to share files and to present a presentation right within the Meetingl interface.